When I was growing up, my favourite cheese was always Cheshire, I loved the stuff and it was almost as plentiful as Cheddar in supermarkets. After about 40 years I had a fancy to try some again but nothing in my local ASDA and cant remember last time.I saw.any on the shelves. Anyone else eat Cheshire cheese? Tarte Encore wrote: There they are. 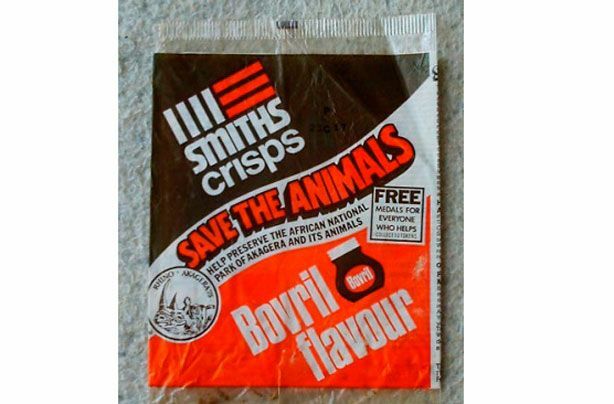 The Bovril bad boys. Nice one CH. My brother and me once saved up our 10p a day pocket money all week until we had a whole whopping quid between us which we blew on 17 (yes kids, really) packets of these beauties in the sweet shop next to the long gone Eltham Well Hall station. Sheer bliss. In this country, Timotei shampoo has gone too. No more of those lovely, lovely adverts. Just shows the difference in our ages and what inflation did. In 1970 20 fags cost 4 bob (20p). [ 'Cardboard box?? ....well thee was lucky' ..etc.etc.]. Come to think of it, anyone old enough to remember the oval shaped cigs called Passing Clouds ? Actually you could start an old fag thread ( definitely nothing to do with Cliff) as I can't be the only one who spent their teens trying to sample all the different brands. Texan bars. Nestle, won't re-release them again. Last time they did, they sold out before anyone knew they were available. They'd best stick to infanticide, eh. Last edited by Up the Junction on Thu Oct 04, 2018 6:01 pm, edited 1 time in total. Tenbury wrote: Come to think of it, anyone old enough to remember the oval shaped cigs called Passing Clouds ? 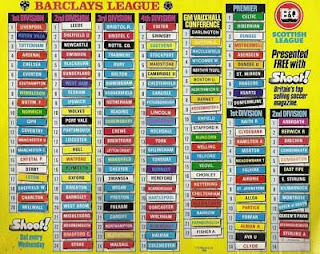 Don't remember Passing Clouds but used to love a No6. Filterless Gitanes - getting all the strands stuck to your lip. And Ducados - no holiday to Spain was worth hearing about unless your mate had come back with a pack of Ducados which cost about 20p (back when fags were still under £2 a pack here). Later, some irony type started selling Death cigarettes - don't get them anymore. You don't see candy cigarettes anymore either. I recall my mum recoiling in horror when I came home with some cigarette shaped sweets once. mushy wrote: When I was growing up, my favourite cheese was always Cheshire, I loved the stuff and it was almost as plentiful as Cheddar in supermarkets. Easy to miss though amongst the 57 varieties of Cheddar on offer. I personally like Lancashire but there's even less of that than there is of Cheshire. sendô wrote: You don't see candy cigarettes anymore either. I recall my mum recoiling in horror when I came home with some cigarette shaped sweets once.